136 001 01 Incorrect sensor air gap 1. Adjust the sensor. Check the AC voltage across pins 7 and 8 of the black X2 ECU connector while rotating the LF wheel 30 rpm. Voltage is 0.2 Vac or greater Sensor adjustment solved the problem. Voltage is less than 0.2 Vac Check for excessive wheel bearing end play and hub runout. Repair as needed. 136 001 02 Incorrect tire size Check for correct tire size and mixed tire sizes. Check for correct number of teeth on tone wheel. 136 001 03 Sensor shorted to power 2. Measure the voltage across pins 7 of the X2 (black) connector and a good chassis ground. Repeat the test between pin 8 and ground. Measurable voltage at either pin Repair short to power in circuit(s) 377LF+ and 377LF– in chassis harness and sensor cable. If problem is in the sensor harness, replace the sensor. No voltage at either pin Repeat the test and check for intermittent short to power in circuits 377LF+ and 377LF–. Suspect ECU is at fault if the problem persists. 136 001 04 Short to ground 3. Measure the resistance between pin 7 of the X2 (black) connector and a good chassis ground. Repeat the test between pin 8 and ground. Resistance between either pin and ground is less than 100,000 ohms Repair the short to ground in circuit(s) 377LF+ and 377LF– in chassis harness or sensor cable. If problem is in sensor harness, replace the sensor. Resistance between either pin and ground is greater than 100,000 ohms Repeat the test for intermittent short to ground in circuits 377LF+ and 377LF–. 2000 ohms Repeat the test and check for intermittent open or short in circuits 377LF+ and 377LF–. Suspect ECU at fault if the problem persists. Resistance is greater than 2000 ohms OR less than 900 ohm. Perform test 5. 2000 ohms Repair open or short in circuit(s) 377LF+ and 377LF– in chassis harness. Resistance is greater than 2000 ohms OR less than 900 ohms Replace the sensor. 136 001 06 Short circuit Perform tests 4 and 5. 136 001 07 Damaged tone ring Inspect tone ring for damage and missing teeth. Make sure correct tooth wheel is installed (100-tooth is normal application). Repair as needed. 136 001 08 Excessive wheel slip Check sensor adjustment. This fault usually occurs when there is excessive tire spin for more than 16 seconds. 136 001 09 Wire mismatch 6. Check for mixed sensor connection. Using Meritor PC Diagnostics, spin each wheel individually. Check that output is from the correct sensor. Correct wiring connections, as needed. 136 001 10 Intermittent signal 7. Adjust the sensor. Using the wheel sensor output screen in Meritor PC Diagnostics, spin the wheel or drive the vehicle and check for intermittent or erratic signal. Signal output OK Adjustment solved the problem. Make sure brake chatter is not causing the problem. Signal output incorrect Check for intermittent wheel sensor circuit connections. Cause could be due to brake chatter. 136 001 11 Erratic signal Perform test 7. 136 001 12 Frequency too high 8. Check sensor wiring and connectors for intermittent contact. Wiring OK Suspect ECU at fault if problem persists. Wiring incorrect Repair wheel sensor circuit, as needed. 136 002 01 Incorrect sensor air gap 1. Adjust the sensor. Check the AC voltage across pins 5 and 6 of the black X2 ECU connector while rotating the RF wheel 30 rpm. Voltage is 0.2 Vac or greater Sensor adjustment solved the problem. 136 002 02 Incorrect tire size Check for correct tire size and mixed tire sizes. Check for correct number of teeth on tone wheel. 136 002 03 Sensor shorted to power 2. Measure the voltage across pin 5 of the X2 (black) connector and a good chassis ground. Repeat the test between pin 8 and ground. Measurable voltage at either pin Repair short to power in circuit(s) 377RF+ and 377RF– in chassis harness and sensor cable. No voltage at either pin Repeat the test and check for intermittent short to power in circuits 377RF+ and 377RF–. 136 002 04 Short to ground 3. Measure the resistance between pin 5 of the X2 (black) connector and a good chassis ground. Repeat the test between pin 6 and ground. Resistance between either pin and ground is less than 100,000 ohms Repair the short to ground in circuit(s) 377RF+ and 377RF– in chassis harness or sensor cable. Resistance between either pin and ground is greater than 100,000 ohms Repeat the test for intermittent short to ground in circuits 377RF+ and 377RF–. 2000 ohms Repeat the test and check for intermittent open or short in circuits 377RF+ and 377RF–. 2000 ohms Repair open or short in circuit(s) 377RF+ and 377RF– in chassis harness. 136 002 06 Short circuit Perform tests 4 and 5. 136 002 07 Damaged tone ring Inspect tone ring for damage and missing teeth. Make sure correct tooth wheel is installed (100-tooth is normal application). Repair as needed. 136 002 08 Excessive wheel slip Check sensor adjustment. This fault usually occurs when there is excessive tire spin for more than 16 seconds. 136 002 09 Wire mismatch 6. Check for mixed sensor connection. Using Meritor PC Diagnostics, spin each wheel individually. Check that output is from the correct sensor. Correct wiring connections, as needed. 136 002 10 Intermittent signal 7. Adjust the sensor. Using the wheel sensor output screen in Meritor PC Diagnostics, spin the wheel or drive the vehicle and check for intermittent or erratic signal. Signal output OK Adjustment solved the problem. Make sure brake chatter is not causing the problem. 136 002 11 Erratic signal Perform test 7. 136 002 12 Frequency too high 8. Check sensor wiring and connectors for intermittent contact. Wiring OK Suspect ECU at fault if problem persists. 136 003 01 Incorrect sensor air gap 1. Adjust the sensor. Check the AC voltage across pins 1 and 2 of the black X2 ECU connector while rotating the LR wheel 30 rpm. Voltage is 0.2 Vac or greater Sensor adjustment solved the problem. 136 003 02 Incorrect tire size Check for correct tire size and mixed tire sizes. Check for correct number of teeth on tone wheel. 136 003 03 Sensor shorted to power 2. Measure the voltage across pin 1 of the X3 (green) connector and a good chassis ground. Repeat the test between pin 2 and ground. Measurable voltage at either pin Repair short to power in circuit(s) 377LR+ and 377LR– in chassis harness and sensor cable. No voltage at either pin Repeat the test and check for intermittent short to power in circuits 377LR+ and 377LR–. 136 003 04 Short to ground 3. Measure the resistance between pin 1 of the X3 (green) connector and a good chassis ground. Repeat the test between pin 2 and ground. Resistance between either pin and ground is less than 100,000 ohms Repair the short to ground in circuit(s) 377LR+ and 377LR– in chassis harness or sensor cable. Resistance between either pin and ground is greater than 100,000 ohms Repeat the test for intermittent short to ground in circuits 377LR+ and 377LR–. 2000 ohms Repeat the test and check for intermittent open or short in circuits 377LR+ and 377LR–. 2000 ohms Repair open or short in circuit(s) 377LR+ and 377LR– in chassis harness. 136 003 06 Short circuit Perform tests 4 and 5. 136 003 07 Damaged tone ring Inspect tone ring for damage and missing teeth. Make sure correct tooth wheel is installed (100-tooth is normal application). Repair as needed. 136 003 08 Excessive wheel slip Check sensor adjustment. This fault usually occurs when there is excessive tire spin for more than 16 seconds. 136 003 09 Wire mismatch 6. Check for mixed sensor connection. Using Meritor PC Diagnostics, spin each wheel individually. Check that output is from the correct sensor. Correct wiring connections, as needed. 136 003 10 Intermittent signal 7. Adjust the sensor. Using the wheel sensor output screen in Meritor PC Diagnostics, spin the wheel or drive the vehicle and check for intermittent or erratic signal. Signal output OK Adjustment solved the problem. Make sure brake chatter is not causing the problem. 136 003 11 Erratic signal Perform test 7. 136 003 12 Frequency too high 8. Check sensor wiring and connectors for intermittent contact. Wiring OK Suspect ECU at fault if problem persists. 136 004 01 Incorrect sensor air gap 1. Adjust the sensor. Check the AC voltage across pins 3 and 4 of the black X2 ECU connector while rotating the RR wheel 30 rpm. Voltage is 0.2 VAC or greater Sensor adjustment solved the problem. 136 004 02 Incorrect tire size Check for correct tire size and mixed tire sizes. Check for correct number of teeth on tone wheel. 136 004 03 Sensor shorted to power 2. Measure the voltage across pin 3 of the X3 (green) connector and a good chassis ground. Repeat the test between pin 4 and ground. Measurable voltage at either pin Repair short to power in circuit(s) 377RR+ and 377RR– in chassis harness and sensor cable. No voltage at either pin Repeat the test and check for intermittent short to power in circuits 377RR+ and 377RR–. 136 004 04 Short to ground 3. Measure the resistance between pin 3 of the X3 (green) connector and a good chassis ground. Repeat the test between pin 4 and ground. Resistance between either pin and ground is less than 100,000 ohms Repair the short to ground in circuit(s) 377RR+ and 377RR– in chassis harness or sensor cable. Resistance between either pin and ground is greater than 100,000 ohms Repeat the test for intermittent short to ground in circuits 377RR+ and 377RR–. 2000 ohms Repeat the test and check for intermittent open or short in circuits 377RR+ and 377RR–. 2000 ohms Repair open or short in circuit(s) 377RR+ and 377RR– in chassis harness. 136 004 06 Short circuit Perform tests 4 and 5. 136 004 07 Damaged tone ring Inspect tone ring for damage and missing teeth. Make sure correct tooth wheel is installed (100-tooth is normal application). Repair as needed. 136 004 08 Excessive wheel slip Check sensor adjustment. This fault usually occurs when there is excessive tire spin for more than 16 seconds. 136 004 09 Wire mismatch 6. Check for mixed sensor connection. Using Meritor PC Diagnostics, spin each wheel individually. Check that output is from the correct sensor. Correct wiring connections, as needed. 136 004 10 Intermittent signal 7. Adjust the sensor. Using the wheel sensor output screen in Meritor PC Diagnostics, spin the wheel or drive the vehicle and check for intermittent or erratic signal. Signal output OK Adjustment solved the problem. Make sure brake chatter is not causing the problem. 136 004 11 Erratic signal Perform test 7. 136 004 12 Frequency too high 8. Check sensor wiring and connectors for intermittent contact. Wiring OK Suspect ECU at fault if problem persists. intermittent short to power. Check above circuits for shorts to other modulator valve wires. Repair as necessary. If problem persists, the suspect ECU is at fault. Measurable voltage at either pin Repair short to power in circuit 378LFI, 378LFO, or 378LF–. Inlet or outlet circuit open. 2. Check the modulator valve inlet and outlet circuit resistance. Disconnect the connector from the valve and perform the modulator valve resistance test. Resistance in both circuits is within 4 to 8 ohms. Check harness wiring circuits 378LFI, 378LFO, or 378LF–. Resistance in both circuits is not within 4 to 8 ohms. Replace the modulator valve. short to ground. Repair as necessary. Resistance in both circuits is not within 4 to 8 ohms. Replace modulator valve. Measurable voltage at either pin Repair short to power in circuit 378RFO, 378RFI, or 378RF–. Inlet or outlet circuit open. 2. Check the modulator valve inlet and outlet circuit resistance. Disconnect the connector from the valve and perform the modulator valve resistance test. Resistance in both circuits is within 4 to 8 ohms. Check harness wiring circuits 378RFO, 378RFI, or 378RF–. Measurable voltage at either pin Repair short to power in circuit 378LRI, 378LRO, or 378LR–. Inlet or outlet circuit open. 2. Check the modulator valve inlet and outlet circuit resistance. Disconnect the connector from the valve and perform the modulator valve resistance test. Resistance in both circuits is within 4 to 8 ohms. Check harness wiring circuits 378LRI, 378LRO, and 378LR–. for intermittent short to power. Check above circuits for shorts to other modulator valve wires. Measurable voltage at either pin Repair short to power in circuit 378RRO, 378RR–, or 378RRI. Inlet or outlet circuit open. 2. Check the modulator valve inlet and outlet circuit resistance. Disconnect the connector from the valve and perform the modulator valve test. Resistance in both circuits is within 4 to 8 ohms. Check harness wiring circuits 378RRO, 378RRI, and 378RR–. for short to ground. Repair as necessary. 136 014 04 Low voltage or open circuit 1. Disconnect the X1 (gray) connector at the ABS ECU. With the ignition ON, measure the voltage between pins 1 and 12. Voltage is 9.5 to 14 volts. System voltage is acceptable. Check for intermittent low voltage. Check the batteries and charging system. Voltage may have been temporarily too low. Repair as necessary. Voltage is less than 9.5 volts. Check vehicle batteries and charging system. Check ABS ECU power and ground circuits for open or high resistance. 136 014 05 Central group open or high resistance 2. Disconnect the X1 (gray) connector at the ABS ECU. Check the ground circuit (pin 11) for high resistance or open circuit. Ground is okay Verify the fault. Check the ground circuits for open or high resistance. Repair as necessary. Ground is open or has high resistance Repair ground circuit as necessary. 136 014 06 Internal relay does not open If fault repeats, replace the ABS ECU. 136 015 03 ATC valve grounded to power. 1. Disconnect the X3 (green) connector, check for voltage between pin 6 and ground. Voltage at pin 6. Circuit 378T- is shorted to power. Locate fault and repair as necessary. No voltage at pin 6. Verify fault. Check for intermittent fault in circuit 378-, repair as necessary. 136 015 04 Low voltage or open circuit 2. Disconnect the X1 (gray) connector at the ABS ECU. With the ignition ON, measure the voltage between pin 2 and a good ground. Voltage is 9.5 to 14 volts System voltage is acceptable. Check for intermittent low voltage. Check the batteries and charging system. Voltage may have been temporarily too low. Repair as necessary. Voltage is less than 9.5 volts Repair voltage supply to ECU. 136 015 05 ATC Valve – High Impedance Replace ABS ECU if fault persists. 06 ATC Valve circuit shorted to ground Disconnect the X3 (green) connector, check resistance between pin 6 and a good ground. Resistance is less than 10,000 ohms Verify fault. Check for intermittent fault in circuit 378-, repair as necessary. Resistance is great than 10,000 ohms Verify fault. Check for intermittent fault in circuit 378T-, repair as necessary. 136 015 07 Internal relay fault If fault repeats, replace the ABS ECU. 136 018 03 Short to power. 1. Disconnect the X3 (green) connector from the ABS ECU. Disconnect the ATC valve connector. Measure the voltage between pin 5 of the X3 (green) connector and a good chassis harness. Voltage Circuit 378T+ is shorted to power. Repair as necessary. No voltage Check circuit 378+ for intermittent short to power. Repair as necessary. If fault persists, suspect ECU at fault. 136 018 05 Open circuit 2. Disconnect the ATC Valve connector. Measure the resistance across the two pins of the ATC valve. NOTE If the vehicle does not have an ATC valve, reconfigure the ECU. Resistance is 7 to 14 ohms. Go to step 3. Resistance is not 7 to 14 ohms. Replace ATC Valve. 3. Reconnect the ATC valve connector. Measure the resistance across pins 5 and 6 of the X3 connector. Resistance is 7 to 14 ohms. Verify fault. Check for intermittent open circuit in 376T+ and 376 T-. Repair as necessary. Resistance is not 7 to 14 ohms. Repair circuit 376T+ or 376T-. 136 018 07 Short to ground. 4. Disconnect the X3 (green) connector, check resistance between pin 6 and a good ground. Continuity Circuit 376T+ is shorted to ground. Repair as necessary. No continuity Verify fault. Check circuit 376T+ for intermittent short to ground. Repair as necessary. 136 019 03 Short to power. This fault should not appear. Re- configure the ECU. If fault continues to appear, check the wiring in the X2 (black) connector. This ABS ECU connector should be unused. Make sure there are no connections to these pins. If incorrect wiring is found, correct it and reconfigure the ECU. If this does not correct the problem, contact Meritor. 136 019 05 Open circuit Verify fault. Contact Meritor WABCO if fault persists. 136 019 06 Short to ground This fault should not appear. Reconfigure the ECU. If fault continues to appear, check the wiring in the X2 (black) connector. This ABS ECU connector should be unused. Make sure there are no connections to these pins. If incorrect wiring is found, correct it and reconfigure the ECU. If this does not correct the problem, contact Meritor. 136 231 02 J1939 speed plausibility error. NOTE: This fault indicates a discrepancy between vehicle speed reported on J1939 and ABS sensed vehicle speed. Check the speedometer calibration. Check for the tire size mismatch. The vehicle speed reported on the J1939 databus does not agree with the wheel sensor speeds. 136 231 05 J1939 open/short Refer to SB 54-133 for troubleshooting J1939. Repair J1939 datalink as necessary. Code 13s231 05 may be active as well. Check the driveline retarder ECU and wires. Check the J1939 Datalink. Freightliner SB 54-133 Repair J1939 datalink as necessary. NOTE: Fault occurs if engine retarder sends message incorrectly. Check the driveline retarder ECU and wires. Freightliner SB 54-133 Check J1939 datalink and driveline retarder ECU. Repair as necessary. NOTE: Fault occurs if engine retarder sends message incorrectly. Check engine ECU and wires. Check J1939 datalink. Freightliner SB 54-133 Check J1939 datalink and engine ECU. Repair as necessary. NOTE: Fault occurs if engine retarder sends message incorrectly. Check engine and transmission ECUs and wires. Check J1939 datalink. 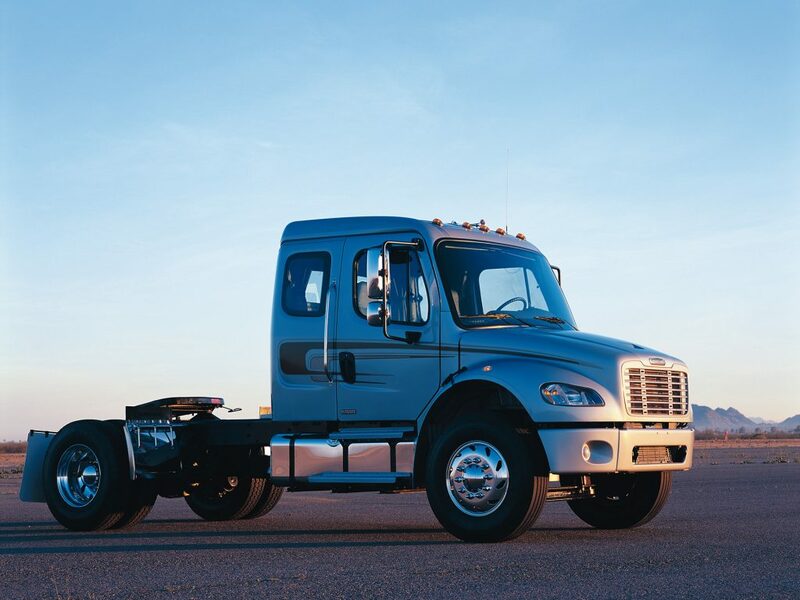 Freightliner SB 54-133 Check J1939 datalink, engine ECU, transmission ECU, and wiring. Repair as necessary. NOTE: Fault occurs if the exhaust retarder sends a message incorrectly. Check the engine ECU and wires. Check the J1939 datalink. 136 231 12 J1939 internal error Verify fault. Clear code from the ECU memory. If fault persists, replace the ABS ECU. Voltage to ECU was too high for more than 5 seconds. Using Meritor PC Diagnostics, check the diagonal voltages with the engine running at governed speed, or measure the voltage at the batteries with the engine running at governed speed. Voltage is 9.5 to 14 volts Check for intermittent sources of high voltage. Check condition of charging system and batteries. Verify fault. Voltage is greater than 14 volts. Check charging system. Repair as necessary. NOTE: ATC valve is detected without engine datalink (J1939). Check J1939 for proper wiring. Check engine ECU for communication. Repair as necessary, then reconfigure ECU. configuration/ wheel parameter incorrect. Reconfigure ECU. If fault repeats then the wrong ECU is installed. Replace with the correct ECU. 136 253 12 Check sum error. Check parameter setting. Check if diagnostic device was disconnected during active diagnosis. no loads No modulator valve connected. Fault may have resulted from end of line test at factory. 136 254 08 Excessive wheel slip. Check wheel speed sensor air gaps. One wheel was much faster than the other. May have been caused by testing vehicle on a dynamometer. 136 254 09 Modulator valve actuated too long. Modulator valve was activated too long (more than 75% of 5 minutes). After a delay, function will return to normal. 136 254 12 Internal error If fault persists, replace the ABS ECU. 136 254 13 Accelerometer out of range If fault persists, replace the ABS ECU. the ECU if fault persists. Extreme banked road (measured acceleration not plausible) No correction required. This fault is for reporting only. * Blink codes 5-1, 5-3 and 5-4 indicate a fault with the right front, right rear and left rear wheel sensors respectively. Incorrect sensor air gap 1. Adjust the sensor. Check the AC voltage across Pins 5 and 8 of the green X3 ECU connector (Circuits 377LF+ and 377 LF–) while rotating the left front wheel 30 rpm. Voltage greater than 0.2 VAC Sensor adjustment solved the problem. Clear the stored faults and drive the vehicle 4 mph (6 km/h). Voltage less than 0.2 VAC Check for excessive wheel bearing end play. Repair as necessary. fault code can also be caused by incorrect or mixed tire size. Also see test 4. 2. Measure the resistance across Pins 5 and 8 of the green X3 ECU connector (Circuits 377LF– and 377 LF+). Resistance reading between 500 and 2000 ohms Check for intermittent, loose or poor connections in Circuits 377LF+ and 377LF– and repair as necessary. If the problem persists, suspect the ECU is at fault. 3. Disconnect the sensor at the sensor connector. Measure the resistance at the sensor connector (on the sensor side). Resistance reading between 500 and 2000 ohms Check the wiring between the ECU and the wheel sensor (Circuits 377LF+ and 377LF–). Repair as necessary. Go to Test 4.
fault code can also be caused by an intermittent open circuit or incorrect sensor resistance. Also, see tests 2 and 3. 4. Check for tire size deviation in excess of 16 percent. Mixed tire sizes can cause this fault. Correct tire size and size variation does not exceed 16 percent Perform Test 2 and Test 3 if not already done. If the problem is not found, verify the fault and check the ECU. Install the correct size tires. 5. Measure the resistance across Pins 5 and 8 of the green X3 ECU connector (Circuits 377LF– and 377LF+). 6. Disconnect the sensor at the sensor connector. Measure the resistance at the sensor connector (on the sensor side). Resistance reading between 500 and 2000 ohms Check the wiring between the ECU and the wheel sensor (Circuits 377LF+ and 377LF–). Repair as necessary. Incorrect sensor air gap 1. Adjust the sensor. Check the AC voltage across Pins 4 and 9 of the green X3 ECU connector (Circuits 377RF+ and 377RF–) while rotating the right front wheel 30 rpm. 2. Measure the resistance across Pins 4 and 9 of the green X3 ECU connector (Circuits 377RF– and 377RF+). Resistance reading between 500 and 2000 ohms Check for intermittent, loose or poor connections in Circuits 377RF+ and 377RF– and repair as necessary. If the problem persists, suspect the ECU is at fault. 3. Disconnect the sensor at the sensor connector. Measure the resistance at the sensor connector (on the sensor side). Resistance reading between 500 and 2000 ohms Check the wiring between the ECU and the wheel sensor (Circuits 377RF+ and 377RF–). Repair as necessary. 4. Measure the resistance across Pins 4 and 9 of the green X3 ECU connector (Circuits 377RF– and 377RF+). 5. Disconnect the sensor at the sensor connector. Measure the resistance at the sensor connector (on the sensor side). Resistance reading between 500 and 2000 ohms Check the wiring between the ECU and the wheel sensor (Circuits 377RF+ and 377RF–). Repair as necessary. Incorrect sensor air gap 1. Adjust the sensor. Check the AC voltage across Pins 3 and 10 of the green X3 ECU connector (Circuits 377LR+ and 377LR–) while rotating the left rear wheel 30 rpm. 2. Measure the resistance across Pins 3 and 10 of the green X3 ECU connector (Circuits 377LR– and 377LR+). Resistance reading between 500 and 2000 ohms Check for intermittent, loose or poor connections in Circuits 377LR+ and 377LR– and repair as necessary. If the problem persists, suspect the ECU is at fault. 3. Disconnect the sensor at the sensor connector. Measure the resistance at the sensor connector (on the sensor side). Resistance reading between 500 and 2000 ohms Check the wiring between the ECU and the wheel sensor (Circuits 377LR+ and 377LR–). Repair as necessary. 4. Measure the resistance across Pins 3 and 10 of the green X3 ECU connector (Circuits 377LR– and 377LR+). 5. Disconnect the sensor at the sensor connector. Measure the resistance at the sensor connector (on the sensor side). Resistance reading between 500 and 2000 ohms Check the wiring between the ECU and the wheel sensor (Circuits 377LR+ and 377LR–). Repair as necessary. Incorrect sensor air gap 1. Adjust the sensor. Check the AC voltage across Pins 6 and 7 of the green X3 ECU connector (Circuits 377RR+ and 377RR–) while rotating the right rear wheel 30 rpm. 2. Measure the resistance across Pins 6 and 7 of the green X3 ECU connector (Circuits 377RR– and 377RR+). Resistance reading between 500 and 2000 ohms Check for intermittent, loose or poor connections in Circuits 377RR+ and 377RR– and repair as necessary. If the problem persists, suspect the ECU is at fault. 3. Disconnect the sensor at the sensor connector. Measure the resistance at the sensor connector (on the sensor side). Resistance reading between 500 and 2000 ohms Check the wiring between the ECU and the wheel sensor (Circuits 377RR+ and 377RR–). Repair as necessary. 4. Measure the resistance across Pins 6 and 7 of the green X3 ECU connector (Circuits 377RR– and 377RR+). 5. Disconnect the sensor at the sensor connector. Measure the resistance at the sensor connector (on the sensor side). Resistance reading between 500 and 2000 ohms Check the wiring between the ECU and the wheel sensor (Circuits 377RR+ and 377RR–). Repair as necessary. Short to power 1. Disconnect the black X2 connector at the ECU. Disconnect the retarder relay. With the ignition ON, measure the voltage between Pin 7 of the black X2 ECU connector and a good chassis ground. Voltage zero Check for an intermittent short to power in Circuit 376R. If okay, ECU may be at fault. Voltage not zero Check for a short to power in Circuit 376R. Repair as necessary. Open circuit 2. Disconnect the black X2 connector at the ECU. Disconnect the retarder relay. Measure the resistance between Pin 7 of the black X2 ECU connector and relay connector cavity that corresponds to pin 85 of the relay. Resistance less than 1 ohm Check relay coil resistance (should be 60-85 Ohms). If okay, check circuit 81C (power to relay coil) for open. Repair as necessary. Resistance more than 1 ohm Repair open in circuit 376R. Short to ground 3. Disconnect the black X2 connector at the ECU. Disconnect the retarder relay. Measure the resistance between pin 7 of the X2 connector and a good chassis ground. Resistance is less than 10 Ohms Check circuit 376R for short to ground. Repair as necessary. Resistance is much greater than 10 Ohms Check for intermittent short to ground in circuit 376R. If okay, ECU may be at fault. Voltage supplied to ECU with ignition OFF 1. Check for voltage backfeeding to ECU with the ignition off, especially to pins 7/X2 and 10/X2. 2. With the ignition ON, measure the voltage between Pin 3 of the black X2 ECU connector and a good chassis ground. Repeat between pin 11 and ground. 9.5 and 14 volts at both pins. Check Circuit 376A for an intermittent open circuit. If the problem persists, suspect the ECU is at fault. 9.5 volts at one or both pins. Check Circuit 376A for an open circuit and check Fuse F16. Repair as necessary. 1. Disconnect the black X2 connector from the ECU. Turn the ignition ON. ABS light illuminates Check circuit 376L for open circuit between splice S22 and X2/8 at the ABS connector. Repair as necessary. ABS light does not illuminate Check the bulb and wire (circuit 376L between splice S22 and ICU pin B11. If okay, replace the ICU. 1. Disconnect the black X2 ECU connector. With the ignition ON, measure the voltage between Pin 6 and a good chassis ground. Voltage zero If the problem persists, suspect the ECU is at fault. Voltage not zero Circuit 376H is shorted to power. Repair as necessary. 200 ohms If the problem persists, suspect the ECU is at fault. above 200 ohms Check the relay coil, relay coil ground circuit, and Circuit 376H for an open circuit. Repair as necessary. above 200 ohms Check Circuit 376H for a short to ground. Repair as necessary. NOTE: The problem may be intermittent and a new relay may be required to correct the fault. 4. If the fault is active, disconnect the black X2 connector from the ECU. With the ignition ON, check to see if the recirculation pump is running. Pump OFF The ABS pump relay (located in the chassis harness, near the ABS valve) may be intermittently sticking. Try a new relay and verify that the problem is solved. Pump ON The ABS pump relay (located in the chassis harness, near the ABS valve) is sticking. Replace the relay. NOTE: Check for an open circuit in the wiring between the ECU and the modulator valve. Check the ground circuit to the modulator valve. 1. Measure the resistance across Pins 3 and 2 of the gray X1 ECU connector (Circuits 378LFI and GRDE). Resistance reading 6.5±0.5 ohms Check for intermittent wiring connections. If the wiring is OK, suspect the ECU is at fault. Resistance reading not close to zero Check and repair the ground circuit. Resistance reading not close to zero Check the modulator ground circuit, repair as necessary. 5. With the modulator valve connector removed, measure the resistance across Pins 12 and 8 on the modulator connector. Resistance reading 6.5±0.5 ohms Repeat Tests 1 through 5. The problem may be intermittent. If the wiring is OK, suspect the ECU is at fault. Resistance reading not 6.5±0.5 ohms Replace the modulator valve. 1. Measure the resistance across Pins 4 and 2 of the gray X1 ECU connector (Circuits 378RFI and GRDE). Resistance reading 6.5±0.5 ohms Check for intermittent wiring connections. If the wiring is OK, suspect the ECU is at fault. 5. With the modulator valve connector removed, measure the resistance across Pins 4 and 8 on the modulator connector. 1. Measure the resistance across Pins 5 and 2 of the gray X1 ECU connector (Circuits 378LRI and GRDE). Resistance reading 6.5±0.5 ohms Check for intermittent wiring connections. If the wiring is OK, suspect the ECU is at fault. 5. With the modulator valve connector removed, measure the resistance across Pins 2 and 8 on the modulator connector. 1. Measure the resistance across Pins 6 and 2 of the gray X1 ECU connector (Circuits 378RRI and GRDE). Resistance reading 6.5±0.5 ohms Check for intermittent wiring connections. If the wiring is OK, suspect the ECU is at fault. 5. With the modulator valve connector removed, measure the resistance across Pins 11 and 8 on the modulator connector. 1. Measure the resistance across Pins 10 and 2 of the gray X1 ECU connector (Circuits 378LFO and GRDE). Resistance reading 3.5±0.5 ohms Check for intermittent wiring connections. If the wiring is OK, suspect the ECU is at fault. 5. With the modulator valve connector removed, measure the resistance across Pins 13 and 8 on the modulator connector. Resistance reading 3.5±0.5 ohms Repeat Tests 1 through 5. The problem may be intermittent. If the wiring is OK, suspect the ECU is at fault. Resistance reading not 3.5±0.5 ohms Replace the modulator valve. 1. Measure the resistance across Pins 9 and 2 of the gray X1 ECU connector (Circuits 378RFO and GRDE). Resistance reading 3.5±0.5 ohms Check for intermittent wiring connections. If the wiring is OK, suspect the ECU is at fault. 5. With the modulator valve connector removed, measure the resistance across Pins 5 and 8 on the modulator connector. 1. Measure the resistance across Pins 8 and 2 of the gray X1 ECU connector (Circuits 378LRO and GRDE). Resistance reading 3.5±0.5 ohms Check for intermittent wiring connections. If the wiring is OK, suspect the ECU is at fault. 5. With the modulator valve connector removed, measure the resistance across Pins 1 and 8 on the modulator connector. 1. Measure the resistance across Pins 7 and 2 of the gray X1 ECU connector (Circuits 378RRO and GRDE). Resistance reading 3.5±0.5 ohms Check for intermittent wiring connections. If the wiring is OK, suspect the ECU is at fault. 5. With the modulator valve connector removed, measure the resistance across Pins 10 and 8 on the modulator connector. NOTE: In this case the ECU is sensing voltage on the pump monitor circuit (Pin 10 of the black X2 connector) when the pump relay was not activated by the ECU (Pin 6 of the black X2 connector). 1. Remove the black X2 connector from the ECU. With the ignition ON, measure the voltage between Pin 10 and a good chassis ground. Voltage zero Check the ECU and verify the fault. Voltage not zero Go to Test 2. 2. Remove the ABS pump relay (R17) and repeat Test 1. Voltage zero Check the ABS pump relay R17; it may be sticking or shorted. Voltage not zero Check for a short to power in Circuit 376B causing the pump to run when it should not be. Repair as necessary. NOTE: In this case the ECU does not sense voltage on the pump monitor circuit (Pin 10 of the black X2 ECU connector) when the pump relay was activated by the ECU (Pin 6 of the black X2 ECU connector). 3. Remove the black X2 connector from the ECU. With the ignition ON, link Pins 6 and 3 while measuring the voltage between Pin 10 and a good chassis ground. The pump should run (do not hold for more than 1 minute). Check for intermittent connections in Circuit 376B and check the ABS pump relay for intermittent operation. Repair as necessary. Check Circuit 376A and check Relay R17. Repair as necessary. NOTE: In this case, the ECU senses high current on the pump monitor circuit (Pin 10 of the black X2 ECU connector) indicating the pump motor is locked. 4. Remove the black X2 connector from the ECU. With the ignition ON, momentarily link Pins 6 and 3. The pump should run (do not hold for more than 1 minute). Repeat the test to verify. If the fault persists, suspect a problem with the ECU. Reference to ground interrupted 1. With the ignition OFF, measure the voltage between Pin 2 of the gray X1 ECU connector (Circuit GND) and a good chassis ground. Voltage zero volts Go to Test 2. Voltage not zero volts Check the ground circuit for a short to positive voltage. 2. Measure the resistance between Pin 2 of the gray X1 ECU connector and a good chassis ground. Resistance near zero ohms Check the ECU ground circuit (GND) for an intermittent or loose connection. Check ground Splice S10. If the problem persists, suspect the ECU is at fault. Resistance above zero ohms Check the ECU ground circuit (GND). Repair as necessary. NOTE: Voltage to the ABS ECU must be between 9.5 and 14 volts to function properly. 1. Disconnect the black X2 ECU connector. Start the engine and run it at governed speed while measuring the voltage between Pins 3 and 9. 9.5 and 14 volts Check the electrical system. If the problem persists, suspect the ECU is at fault. 9.5 or above 14 volts Check the batteries and charging system for malfunction. Repair as necessary. 2. Disconnect the black X2 ECU connector. Start the engine and run it at idle while measuring the voltage between Pins 3 and 9 of the black X2 ECU connector. 9.5 and 14 volts Verify that the batteries were not drained or the charging system was not overloaded when the fault occurred. If the problem persists, suspect the ECU is at fault. 136 253 02 Incorrect internal tire parameter — — Contact Meritor WABCO (1-800-535-5560). 136 254 12 Internal ECU Fault — — Replace the ECU.